Does it ever seem like modern life has gotten louder? Indeed, it depends on where you live. City dwellers who live close to public transportation systems or in buildings that face busy streets are exposed to higher levels of sound than people who live in the suburbs or in rural areas. The city in which you live also makes a difference – for example, San Francisco as a whole is much quieter than New York City. 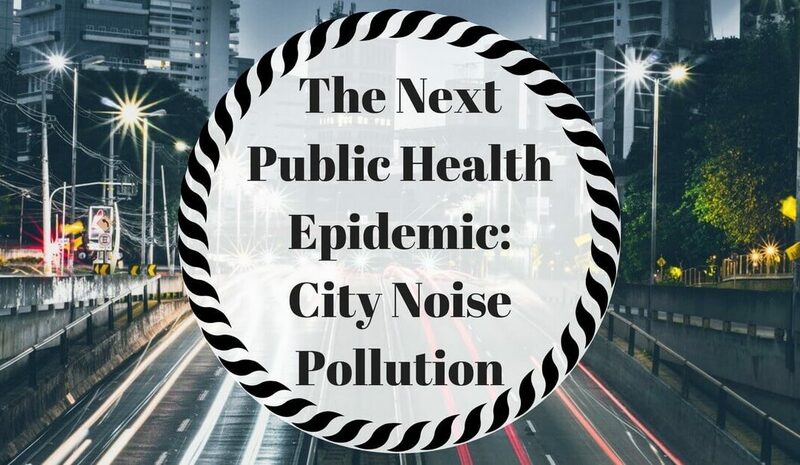 Recent studies on city noise levels, both in the US and internationally, have indicated that perhaps city noise pollution may be the next public health epidemic. We take a look at a number of reports, as well as the impact of urban noise pollution on our hearing health – as well as our overall health. Before we get to hearing health – which is perhaps the most obvious victim in issues of noise pollution – we must note that exposure to loud sounds on a daily basis have multiple effects on different parts of our well-being. Noise pollution “can wreak havoc on human health and safety…exacerbate hypertension, cause insomnia or sleep disturbances, result in hearing loss, and worsen a plethora of other medical conditions.” Even with the Noise Pollution and Abatement Act of 1972, decibel levels continue to rise. Elsewhere – as measured by the World Hearing Index – there is indeed a growing problem in noise pollution. Recent studies have indicated that Guangzhou, China had the worst noise pollution in the international realm, while Zurich, Switzerland had the least. Amongst the worst noise polluters, Delhi, Cairo, Mumbai, Istanbul, Beijing, Mexico City, and Buenos Aires ranked high. Conversely, quiet cities included Vienna, Oslo, Munich, and Stockholm. Scientists have also found that noise pollution leads to long-term consequences of high blood pressure, Type 2 diabetes, cardiovascular disease, and lower birth weight. As we’ve previously explored, noise-induced hearing loss is a common form of sensorineural hearing loss. With exposure to dangerous levels of sound, whether gradually over the long term (occupational noise, listening to music at a loud volume, etc.) or in a one-time event (gunshot, explosion, etc. ), we may be at risk for permanent hearing loss. Sounds are measured in decibels, and the louder they are, the less time it takes to potentially permanently damage our hearing. To put decibels into context, an average conversation clocks in at 60 decibels, while a live rock concert is around 110 to 120 decibels. Hearing specialists believe that long or extended exposure to sounds over 85 decibels for over an hour could lead to permanent hearing loss. Exposure to dangerous levels of sound could permanently damage inner ear hair cells, which leads to noise-induced hearing loss. Whether you’re in the city or in a nearby suburb, it’s important to pay attention to your surroundings. We are exposed to noise in everyday activities, from driving to our workplace to DIY-construction projects at home. Carry around a pair of foam earplugs just in case. Better yet, get fitted for custom hearing protection – molds custom made to fit your ear canals – which filter out the dangerous sounds and continue to give you access to the sounds you want to hear. Visit an audiologist or hearing specialist annually for a hearing test to stay abreast of your hearing abilities.